Goldie Companion mask is from Gypsy Renaissance's Sequins & Sparkles collection. 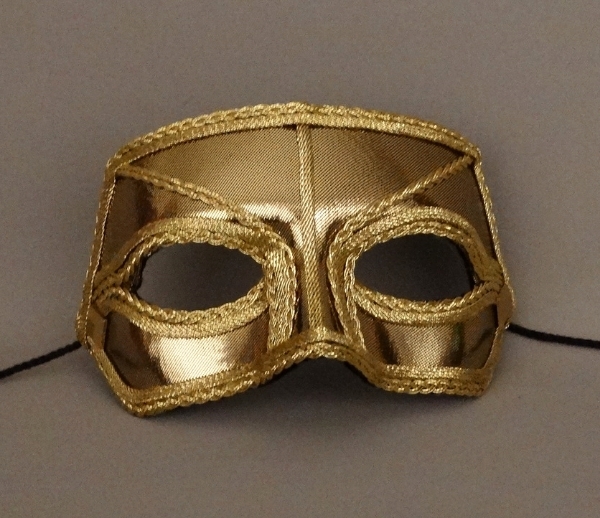 Goldie Companion is a liquid gold masquerade mask with gold trim and black jet jewels. Goldie Companion mask is covered with liquid gold fabric and trimmed with metallic gold braiding. Mask is finished with black jet jewels and gold cabochons.